Saudi Arabia has expelled Canada’s ambassador in Riyadh over what officials called “blatant interference in the Kingdom’s domestic affairs,” state media said Sunday. 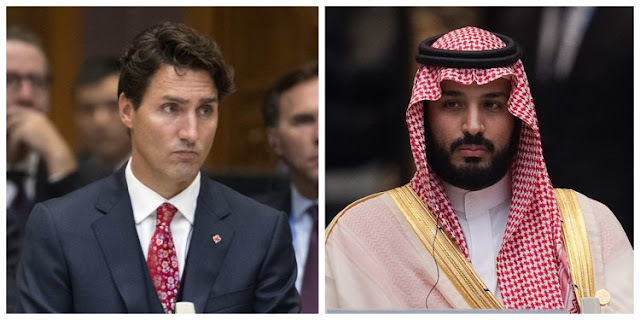 The Canadian ambassador has been declared a persona non grata and has been given 24 hours to leave the country, the Saudi Press Agency statement added. gave the Canadian ambassador 24 hours to leave the country and recalled its own ambassador to Canada. the Saudi authorities to “immediately release” civil rights activists, the ministry said. More than a dozen women’s rights activists have been targeted since May. activists in Saudi Arabia, including Badawi, the sister of jailed dissident blogger Raif Badawi. Global Affairs Canada said on its Twitter feed. which requires women to obtain the consent of a male relative for major decisions. internal relations with its citizens. to interfere in the Canadian domestic affairs,” the statement said. was the largest advanced manufacturing export win in Canadian history.